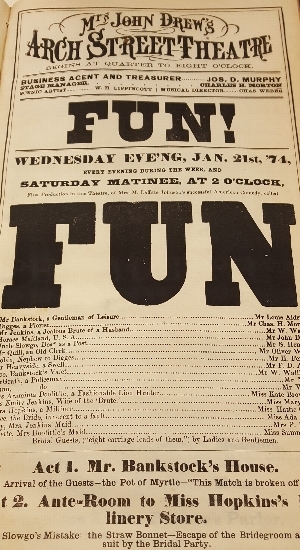 Housed in the Rare Book Department, the Theatre Collection of the Free Library of Philadelphia is a research collection of materials on theatre and other forms of entertainment with a special focus on Philadelphia and Pennsylvania. It contains well over a million items, not only about theatre, but also about film, television, radio, the circus, minstrels, vaudeville, and burlesque. In addition to traditional books and magazines, myriad types of archival material are represented, including programs, playbills, theatrical scrapbooks, posters, lithographs, newspaper clippings, lobby cards, reviews, pictures of productions and film stills. Many examples from our collections are available through our Digital Collections, including film materials from the Lubin Film Manufacturing Company and the Essanay Film Manufacturing Company as well as lobby cards; the 19th Century Playbill Collection; and our radio broadcasting materials. 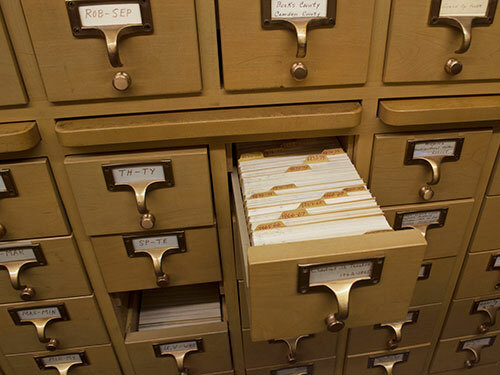 Many collections have not been digitized, and some collections have only been digitized in part. If you're interested in reproducing an image from our Digital Collections, please email us at reproductions@freelibrary.org.